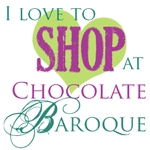 This is my second post in October for Chocolate Baroque. 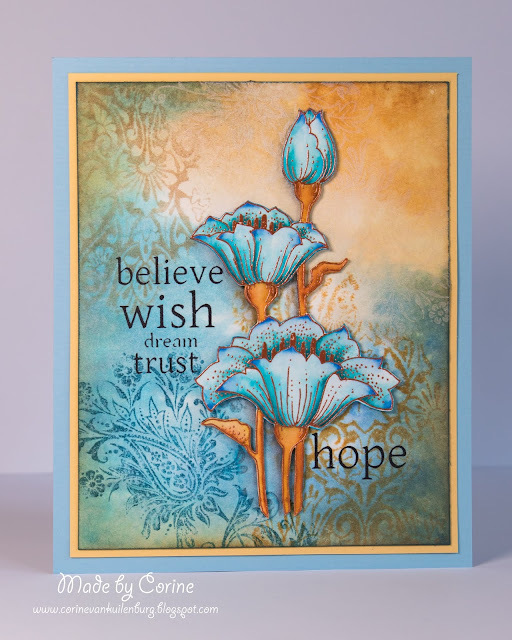 I will show you today a blue card with flowers. Stamp the background stamp with Toffee and Peanut Brittle. Stamp with Danuble Blue de baroque flower left below and top right with Memento Luxe white. Stamp Wish flower with black on the paper. Emboss flower with copper powder on watercolor paper. Color it with markers. Cut out and stick on your background.